Dual Intent refers to the concurrent processing of an application for permanent residence and an application for temporary status, therefore demonstrating the intention to both reside in Canada permanently and only temporarily, at the same time. An individual submits an application for a Canada Immigration Visa. 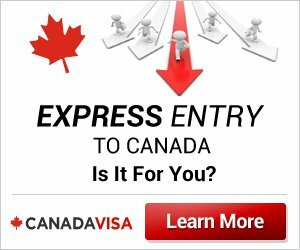 Before receiving the Canada Immigration Visa, the individual wishes to visit Canada for a short time and applies for a Temporary Resident Visa (TRV), or appears at the Port of Entry, if a national of a TRV-exempt country. This is perfectly acceptable as long as the individual intends to leave Canada at the end of the visit. The same principle applies to individuals who are in the process of applying for a Canada Immigration Visa and wish to obtain a temporary Work Permit or Study Permit. An individual whose application for permanent residence in Canada is pending is subject to the same requirements as others when seeking entry into Canada temporarily. The individual should therefore have a reasonable purpose for entry, be prepared to leave Canada at the end of the temporary stay and understand that if a Canada Immigration Visa is issued, he or she must leave and re-enter Canada in order to officially land as a permanent resident. An application for temporary Status may be scrutinized more closely when a permanent resident application is under review, as there is an obvious intention to settle in Canada permanently. If the individual's ties elsewhere can be demonstrated, however, an application for temporary status should succeed.